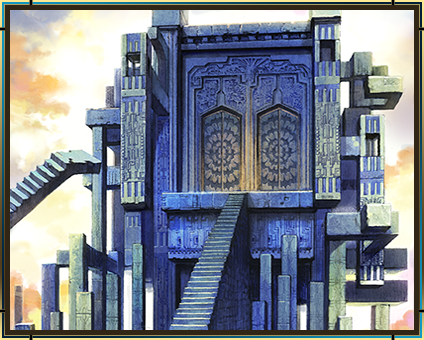 As the protagonist, Stocke, you will use the power of the White Chronicle to travel through time and see mutiple timelines play out their fates. By returning to the past and redoing history, you can lead the world to its ideal path. 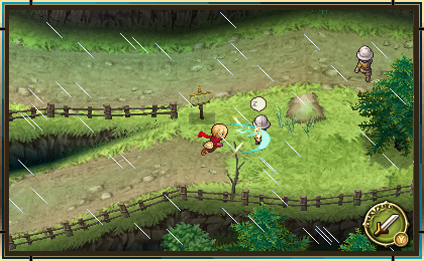 Gain the advantage by slashing on the field, and use strategic combos to overcome powerful foes in exhilarating battles. The central hub for changing history. From here, you can travel across the two parallel timelines of Standard and Alternate Histories. Not only that, but once you have met Nemesia, you will be able to access a whole new area of time: the Possible Histories. 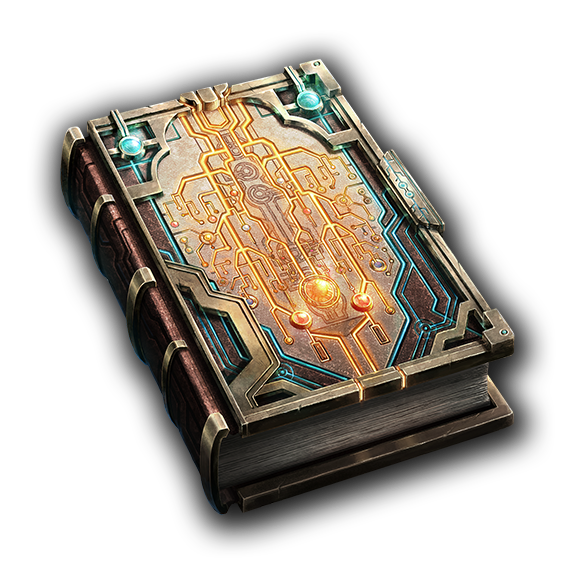 An ancient book of Flux, shrouded in mystery. 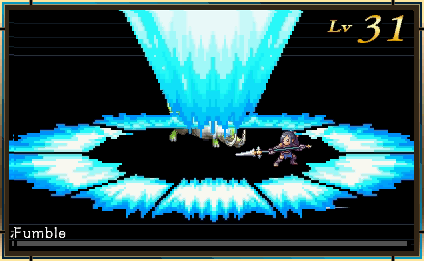 Its wielder is granted the power to travel through time. 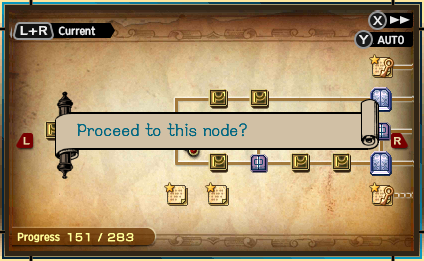 Whenever the wielder of the White Chronicle experiences a pivotal moment in history, a Time Node is born. Each node represents a decision point, which can later be returned to and redone. Experiment with different actions to lead history to the right path. 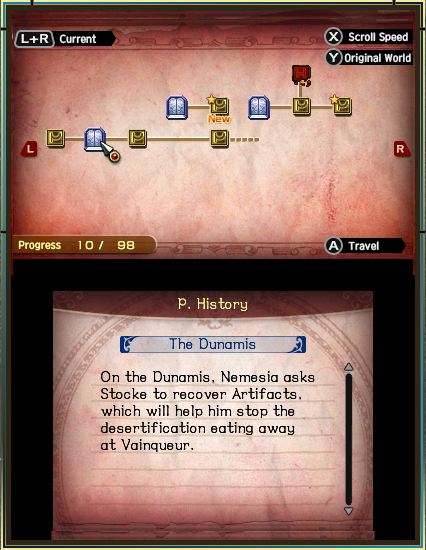 In this 3DS remaster's new Possible Histories, Stocke can visit "what-if" timelines in search of Artifacts—mystic relics that hold the key to the continent's desertification. 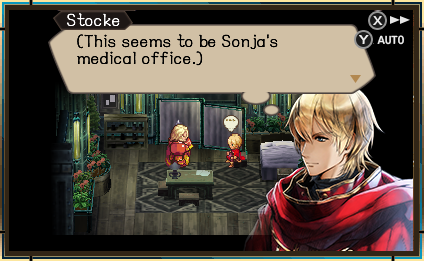 In these worlds, you will witness all kinds of scenarios that never got to play out in the original timelines, such as Rosch being promoted to General. 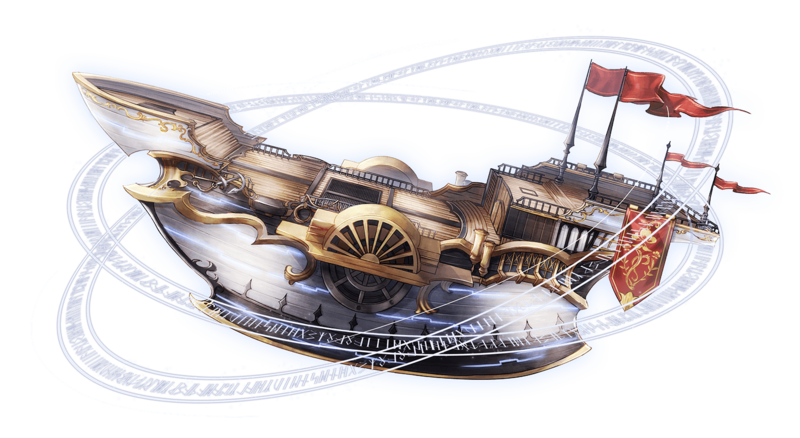 A massive airship captained by Nemesia to travel between the potential worlds. 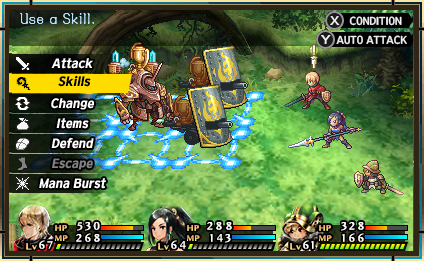 Radiant Historia blends a familiar turn-based battle format with an innovative grid-based strategy system. In each encounter, enemies appear on a 3x3 grid, opening up a multitude of clever possibilities—push, pull, and otherwise force the enemies around the grid, and then smash them all at once on the same square. Another unique feature of this system is the Change command. 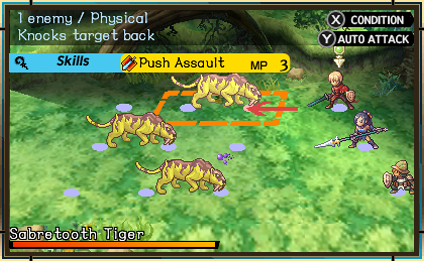 By using it, you can manipulate the turn order of both allies and enemies to set yourself up for the perfect succession of moves. Using Change to your advantage can earn you massive combos! 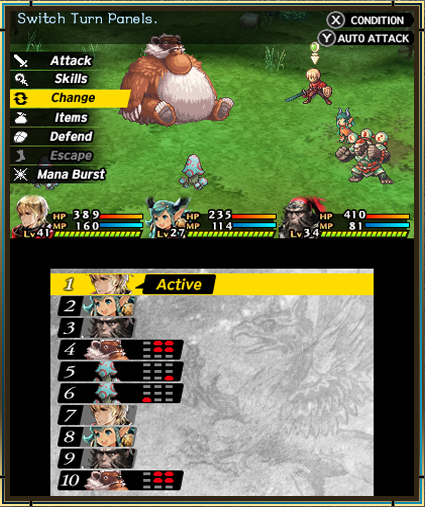 Brand new to this 3DS version, your teammates who are not currently participating in battle can jump in and help out with a support skill! 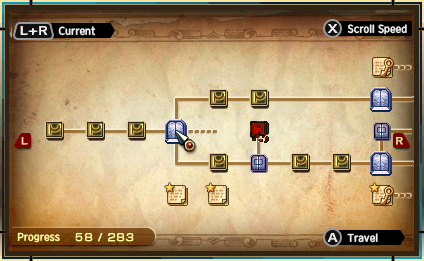 While their appearance is random, they will not spend any MP. 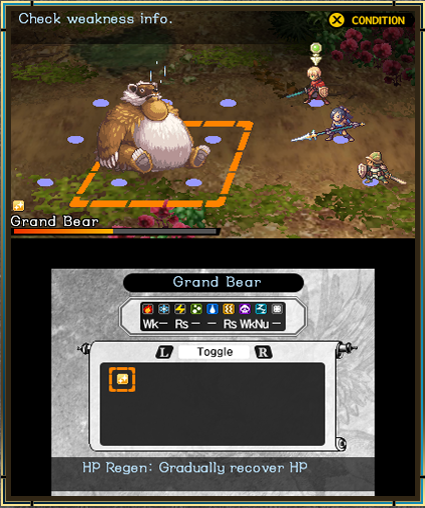 Each character has their own unique skills that will be used. 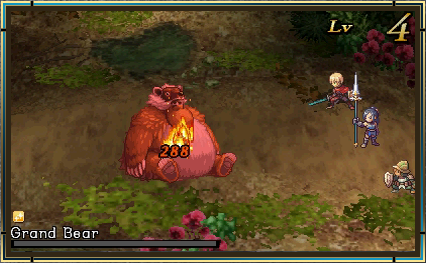 Many skills have elemental traits. 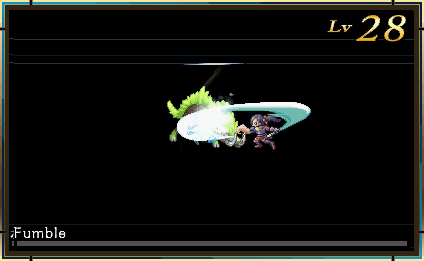 If you hit an enemy with an element they are weak against, you can deal massive damage. 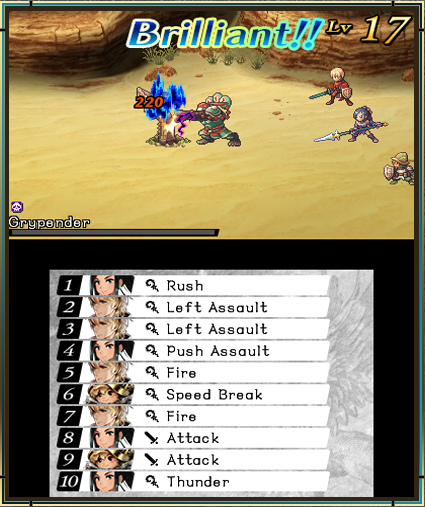 Take advantage of these weaknesses to gain the upper hand in battle. 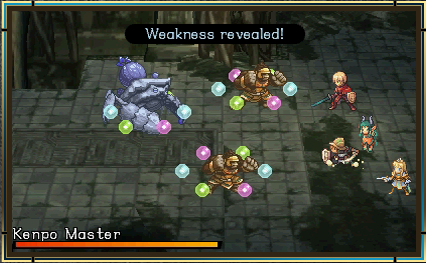 By filling a party member's Mana Gauge to max, they can unleash an extremely powerful Burst skill. 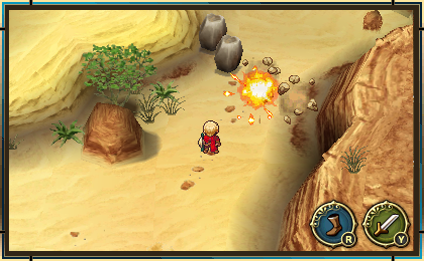 Progress through the story to earn new Mana Bursts for your allies. 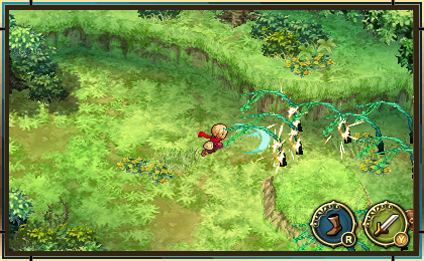 As you explore the field, you can perform special actions such as clearing obstacles, or striking the enemy for an ambush. 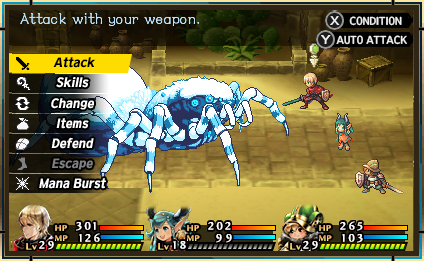 Progress through the story to unlock more of these abilities, and bend the world to your will! 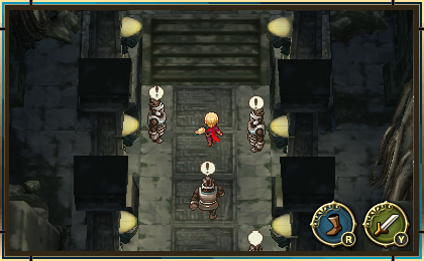 If you strike an enemy with your sword out of combat, you can knock them out and begin the encounter with an advantage. 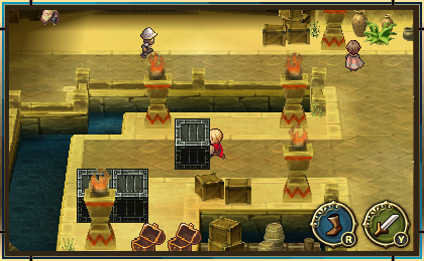 You will also be able to slice through certain obstacles blocking your path. 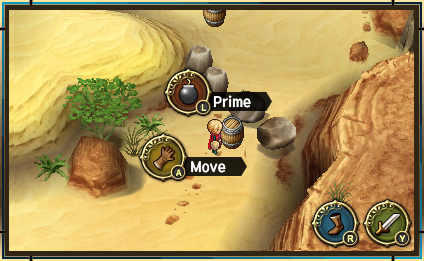 Grab boxes and barrels on the field, then move them around as you please. 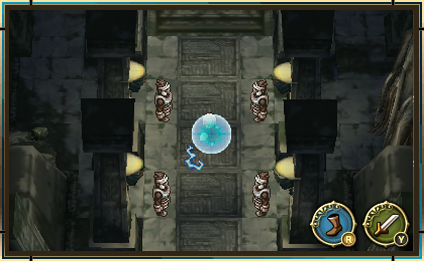 Detonate barrel bombs on the field to destroy obstacles like boulders. Combine this with Strength to position a barrel near your target, then blow it up remotely. 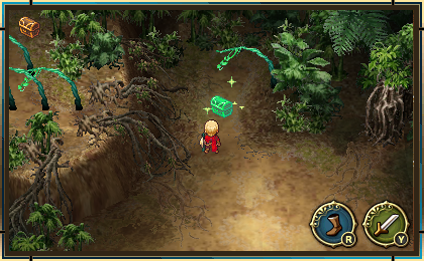 Sense the flow of Mana on the field to discover hidden items and traps. 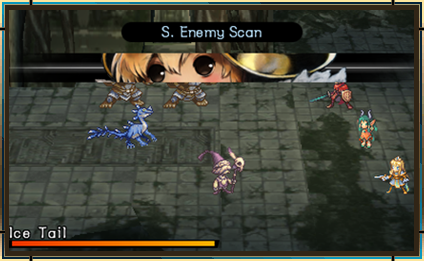 If you find yourself facing too many enemies, use Vanish to cloak your presence and infiltrate undetected. You can't stay hidden forever, though—your MP will drain while this ability is in use.